During this day we visit historic Kathmandu and With an Italian speaking local guide. Are provided a visit to the Buddhist monastery of Boudhanath, stops him more Great in Nepal, and at the Pashupatinath Hindu temple, place of Hindu ceremony, then end with visiting a Swayambhu, known as the Monkey Temple, a place of worship Both for Hindus and for Buddhists. From here we can enjoy a beautiful view of the city. Overnight at Hotel. The flight from Kathmandu to Lhasa will last about an hour and is, without Doubt, one of the most spectacular flights in the world. The flight takes us Just east of the Everest massif, with unsurpassed views Of the beautiful Khangshung wall. Upon arrival at the airport of Lhasa, you will be welcomed by our Tibetan guide. 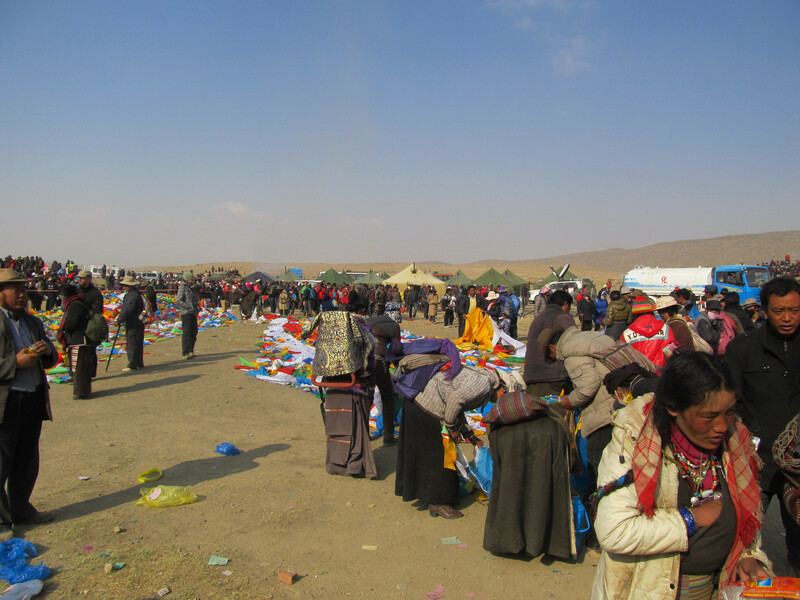 You will be given A warm "Tashidelek" (which means welcome with Blessing) and you will be given a white Hada (a Traditional Tibetan ceremony where you will receive a scarf white). We then move to a hotel in Lhasa. To rest well On your arrival (Lhasa is at 3.650 meters altitude) It is essential to relieve mountain ailment: then resist the Temptation to go out and take the day to acclimatize. Overnight at Hotel. The day dedicated to discovering Lhasa and its beauties Historical and cultural: Potala Palace: Lhasa's imperfect destination, the Potala Palace is one Of the great architectural wonders of the world. As hundreds of pilgrims before you, the first view of the structure A fortress will be a magical moment, which you will remember for a long time. Entering the palace means walking two steeps access ramps, which will let you breathe in this air With little oxygen. Travel lightly and do not worry to load with water, there are bottles for sale on all Path to the top of Potala. Monastery Evening: About 5 kilometers north of Lhasa, the Monastery Evening was one of the two great monasteries Gelupa of Lhasa, second Only to that of Drepung. Between three and five in the afternoon, From Monday to Friday, in the courtyard of the monastery are held gods Debates: such an extraordinary view to remain enchanted Even if you do not understand a word of what is being said. Norbulingka Palace: Norbulingka was the ancient summer palace of the Dalai Lama, where the XIV Dalai Lama remained until it was forced to flee from Tibet in 1959. Overnight at the hotel. Jokhang Temple: Also known in Tibetan as Tsuglhakhang, the Temple of Jokhang is the most religious structure worshiped in Tibet. Full of yak butter, mummies of mantra and of Light pilgrims' footsteps with wide open eyes, Jokhang is an unbeatable Tibetan experience. In front of the entrance, there is A perennially crowded square with pilgrims who They polish the paving stones with their prostrate positions. The Drepung Monastery was founded in the 14th century. For a long time, The period remained the largest Tibetan monastery with one Population of about 10,000 monks. Today the number of monks It has dropped to a few hundred, but it continues to be a place Very interesting because it did not suffer much damage during the Cultural Revolution. Overnight at Hotel. Yamdrotso Lake: the bright Lake Yamdrotso (at an altitude of 4,441 meters) is usually seen for the first time from the top of the Step Kumba La (4,700 meters). The lake lies several meters below The road, and when the weather is nice you can admire his Wonderful turquoise nuance. Far you can see the massive massif of Mount Nojin Kangtsang (7,191 meters). Karola Glacier: Nojin Kangtsang Mountain rises up to 7,191 meters between the county of Gyantse and the county of Nagarze, with Several snow-capped mountains above the 6,000-meter-high cornering. Near the mountain, there is the most accessible glacier On the Tibetan plateau. The famous Kharola glacier (5.560 Meters) is located beneath the southern crest of Nojin Kangtsang. Pelkor Chøde Monastery and Gyantse Kumbum: Gyantse is a beautiful place far away from the Chinese influence, Evident in the other major Tibetan cities. It is dominated By an ancient fort who was besieged by British forces in 1904 during the famous Younghusband expedition. The area that It extends irregularly north to host the Pelkor Monastery Chode and the monumental Gyantse Kumbum, a full chorten Beautiful paintings, and statues. Both are deservedly on top of List of things travelers have to see. Palkhor lies At the foot of Dzong Hill. He is well known for his Kumbum, Which has 108 chapels on its four floors. This Stupa was Crowned with a golden dome, surrounded by several chapels, Full of unique murals and religious statues. Overnight at Hotel. Today we will visit the Monastery of Tashilunpo and then we will transfer Ronbuk and the Everest North Face base camp. Tashilunpo Monastery: It is a pleasure to explore the hectic And cobblestone streets lying around the ancient buildings. Covering 70,000 square feet, Tashilunpo is essentially A city surrounded by walls. From the entrance to the monastery, visitors They have a beautiful view. Above the white monastic neighborhoods there There are many other buildings with golden rocks - the tombs of the Past Panchen Lama. To the right, even higher, there is the Thangka Wall festival, a wall painted with huge, colorful Thangkas during festivals. To move to Ronbuk We cross two mountain steps: the Tsuo La (4,500 mt), as We, will taste the typical landscape of small valleys, blue sky, and Vette Himalayan; And the Lhakpa La (5,220 mt) from which we enter Officially in Chomolungma National Park (the name of the Mount Everest in Tibetan). Leaving the step, if any Visibility we can also see the Everest. Overnight in Guesthouse. After breakfast, a bit of time dedicated to the visit Beautiful Rongbuk Monastery, one of the most important in Tibet, And the Everest North Face Base Camp, the best point in Absolute view of Everest. Let's start with Saga, and there We enjoy all day beautiful views. If there will be good Visibility you will be able to see Mount Lothse (8,516 mt), the mountain Everest (8,848 mt), Mount Qowowuyag (8,200 mt) and Mount Mayalu (8.463 mt). Accompanied by unforgettable views of the chain Himalayan, proceed to Paryang and, past the step Maylum La (5280 m.) Shows itself in front of his eyes Spectacular scenery of Barkha plain with gorgeous sacred lakes Manasarovar and Rakas Tal. From here, another 1 hour Trip to Chiu Gompa (4588 mt), on the shores of the lake. Overnight stay in a simple guest house. Transferring about 40 minutes to Darchen (4780 mt), the last Village before trekking. 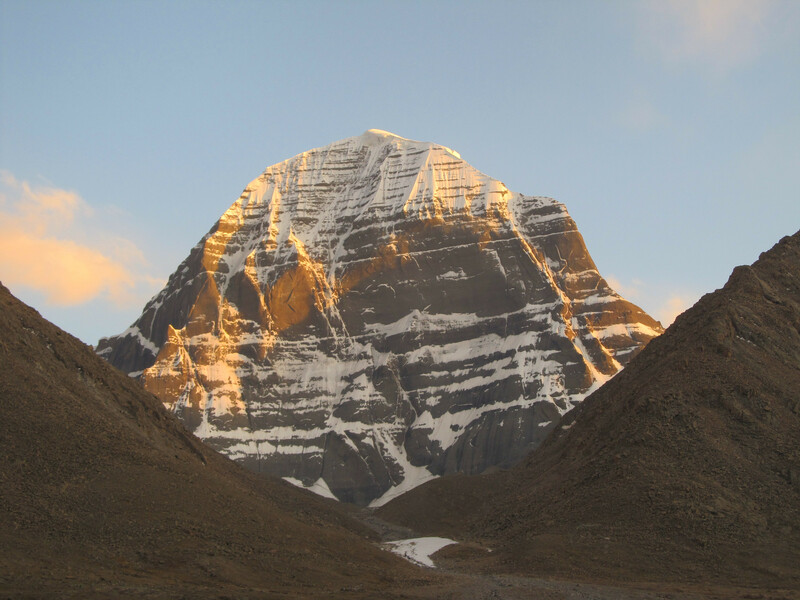 From here in the afternoon hike to the Monasteries located in the south of Kailash (5050 mt) for Acclimatize the physical before trekking. Overnight in lodge simple. With a gradual climb along the river Lha Chu, you come to the spectacular northern wall of the Kailash, where the small monastery of Dira Puk Gompa is located (5050 m.) Along the way, we will meet dozens of pilgrims who prostrate near the consecrated places and the emotion of Living this great experience will fill our hearts. Overnight stay in a simple guest house (5/6 hours walk). Last day of the trek and down to Darchen. 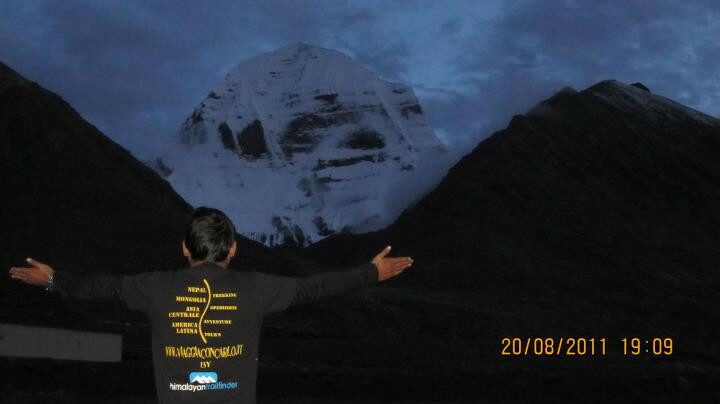 From here, there We move again to the beautiful Lake Manasarovar. From Lake, we move to Saga. Overnight at Hotel. Departing in the morning for Shigatse. Overnight at Hotel. Return to Lhasa. Overnight at Hotel. Transfer to the airport to take the flight that will take us back to Kathmandu. Rest of the day off. Overnight in Hotel. After arrival, visit Bhaktapur and Patan. Bhaktapur, the third City of the Kathmandu valley, is so close to the capital To be considered an integral part of it. The Architectural wonders of this place are now marked By the terrible earthquake that hit this area in April Of 2015 but this did not destroy the charm of the town. The Old town develops around the Durbar Square and is an open archaeological site. Here you can admire the famous Palace with 55 windows built in 1754, Sunko Dhoka, lovely Hindu temples.